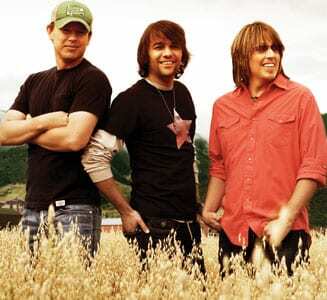 With an independent spirit as great as the American frontier, Due West is staking its claim to Nashville fame with first single “I Get That All The Time.” Tim Gates, Brad Hull and Matt Lopez comprise the energetic young band based on tight harmony, sincere songwriting and perhaps most of all, the kind of friendship legends are made of. Matt Lopez and Brad Hull knew one another from living in Arizona and, after moving to Nashville, encountered Tim Gates at a house party. They were taken with his guitar playing, singing, and repertoire: old Shenandoah, Mark Chesnutt, McBride & The Ride, and Keith Whitley. As Lopez and Hull jumped in on harmonies, the trio made an instant connection that night. While friendship may be the glue that holds Due West together, their music that moves them forward. All three are accomplished songwriters who have cuts by Lady Antebellum, Bucky Covington, and the Gaither Brothers. With a wealth of songs in their own catalogs, let alone the gems from outside writers, Due West’s debut album (produced by Jason Deere) is full of songs written from the heart. Real issues jump to life in “I Get That All The Time,” a celebration of the highs to be had from everyday family life. “Whether we’re a parent, a child, or an adult looking back on our lives growing up, there’s just something to be said about walking in the front door of your home and feeling the weight of the day whisked away by the chaotic familiarity and peacefulness of family,” says Lopez.